First Day of a New Term – Neat Introductions Idea! However, students end up using them on their desks, and many students often resort to using their paper after a while. I don’t blame them, there doesn’t seem to be much difference other than the fun colors that can be used, and the fact that they are easily erasable. But also, they are easily erasable. So students sometimes rather writing on something that will leave a record for them of their thinking. Anyway, this has worked well for the most part, but I really noticed the difference between flat non-permanent surfaces and vertical non-permanent surfaces! It’s true! The engagement levels were much higher, and knowledge was more quickly mobilized around the room. 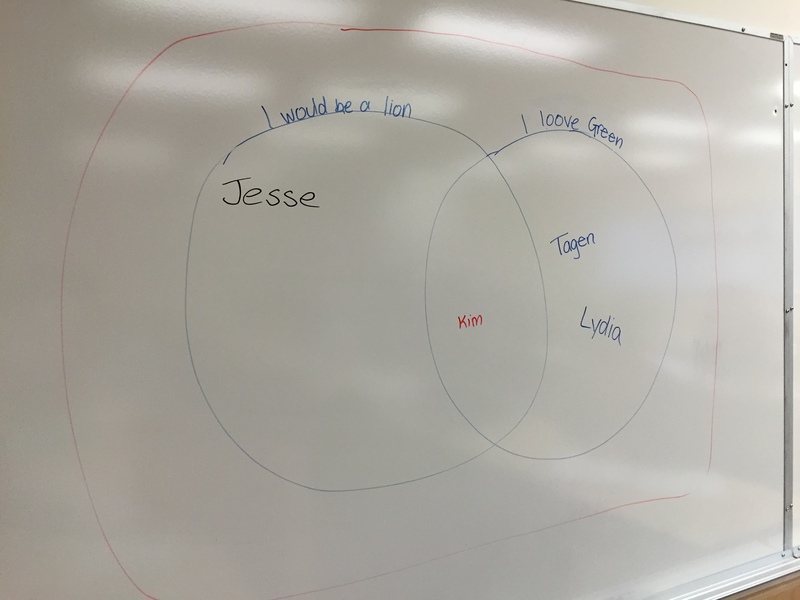 This means that students quickly realized that I was encouraging them to look at what other groups were doing to guide them. 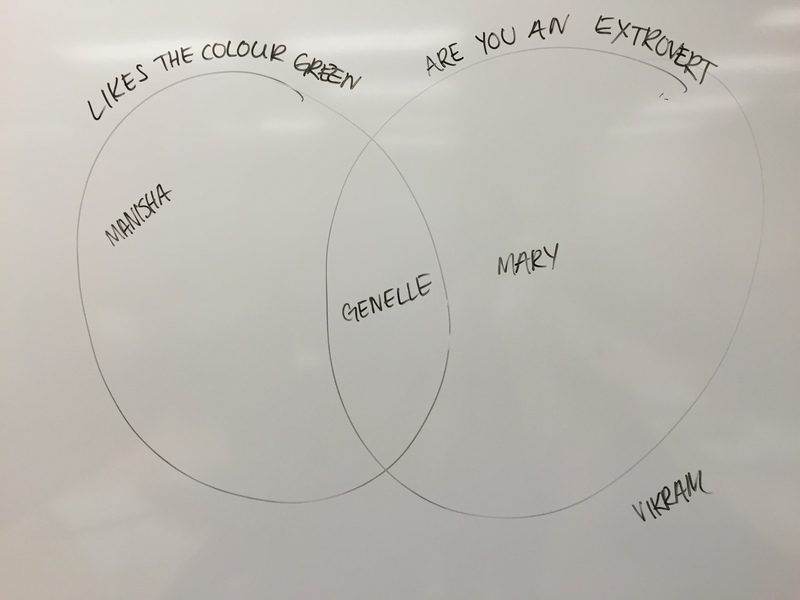 One student expressed excitement that he is going to be able to look at other students’ work this term in this way. There’s something intriguing about that. Maybe it’s because for so many years, these students have been trained that it is socially unacceptable to “cheat” . . . but they have not always been encouraged to do this in a collaborative way. So after giving these people a reality check on how demanding the course is going to be and how much they have to dedicate themselves, I gave them the following activity. It was inspired by a session I attended last August, where Dan Meyer introduced this similar tactic, but with coordinate points. Since my first topic is a review of sets, I decided to integrate it into a “let’s get to know people in the room” session. It seemed to really set the stage, and hopefully helps in creating that essential community aspect of classroom life. It also led us to some discussion around logical statements and key set related terminology. 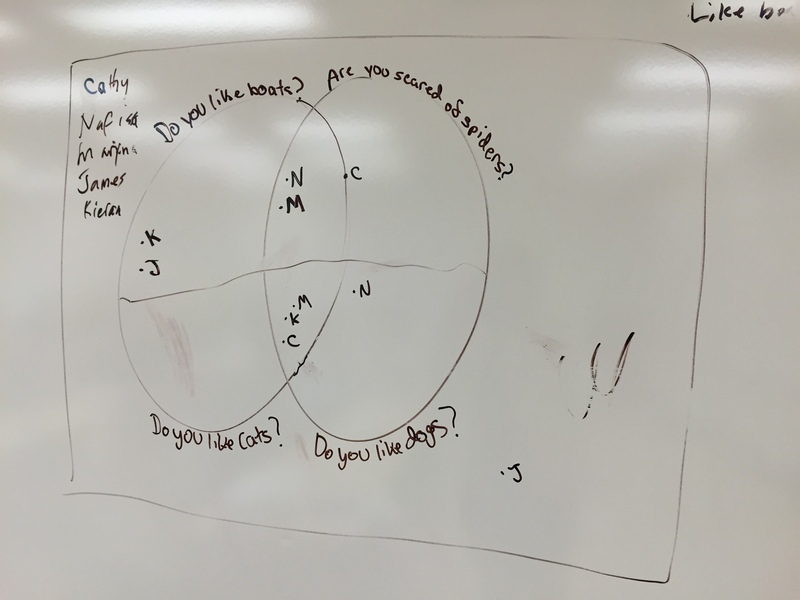 I actually tried this activity last term, and what I changed this time around was that I gave some prompts beforehand so that students had some examples of categories they could use for their set graphs. First, I give my students slips of paper with these questions for them to answer. I gave them a couple minutes or so for this. 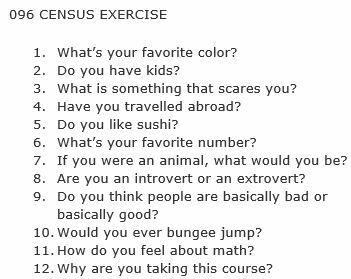 The questions were rather obscure, and they probably wondered what this has to do with math class. They will then be deciding on how to name each set so that they can then place themselves on this graph according to these categories. I grouped them randomly using playing cards, and asking them to find the same number as them to form groups of 4. 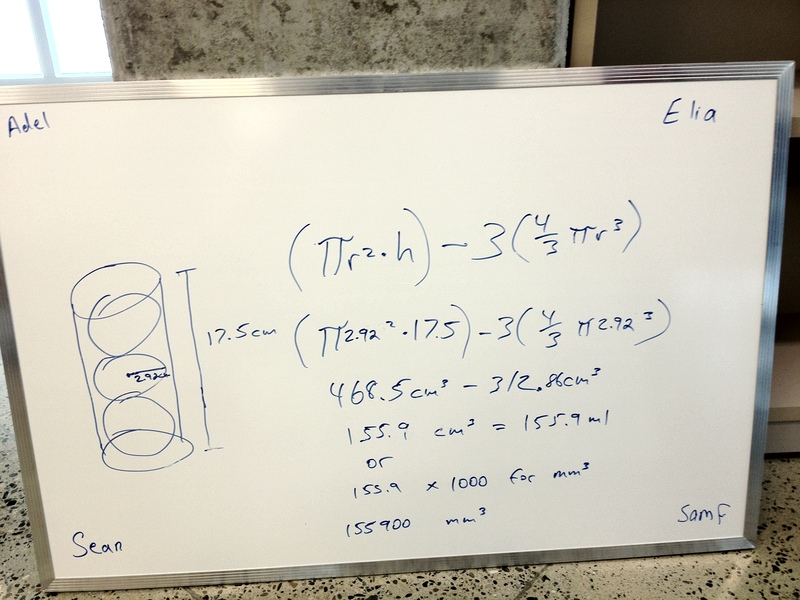 They were then to find some whiteboard space, and create their graphs. Some groups were still confused. 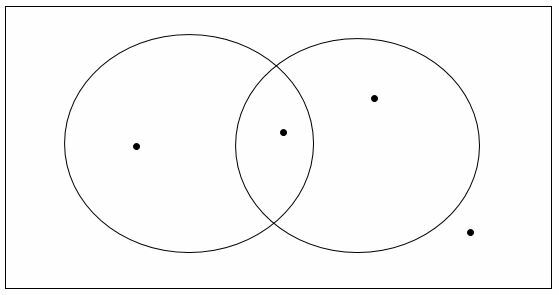 They drew two circles, but had no idea how to continue. Say one category is a collection of those who hate cats. Then anyone who hates cats has to be in that category. But if someone hates cats AND bananas, then they would be in the intersection of the hates cats and hates bananas categories, and so on. how do you label the categories so that the points make logical sense? why would a point be outside of the two sets? what is meant by union and intersection? This set the stage for more set related problems, and students got to present their categories to the rest of the group. The one thing that I missed from this activity, that I would have liked to have in a student introduction activity, is the various reasons for why they have decided to take this class, and what they feel about math. I am looking forward to working with this group, and only hope that I will be able to keep up with coming up with neat creative ideas for developing their engagement in mathematical thinking.